With a staggeringly low entry price of $299, MX HomePro packs a powerful punch. 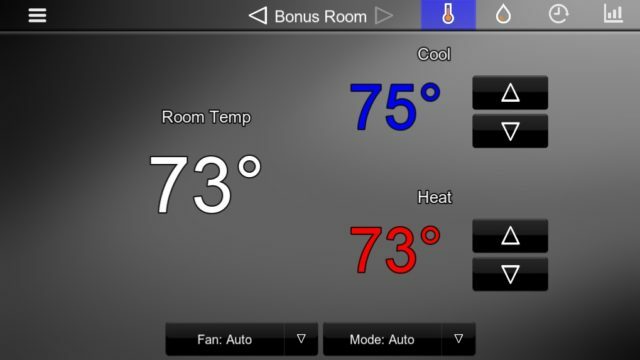 MX HomePro is a collection of products and software that comprises a multi-room home control solution with integration into other smart home devices. 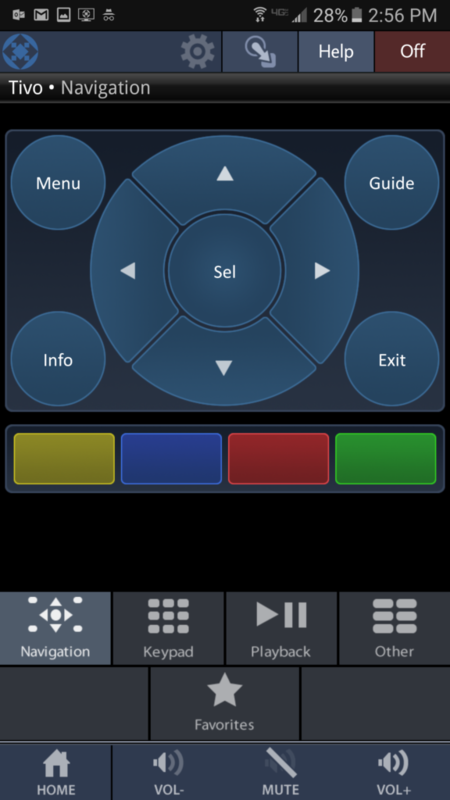 In this post, we will focus on using MX HomePro as a single room universal remote control. Follow this link for more information on MX HomePro as a Whole Home Solution. Let’s start by imagining a room that has a TV wall mounted above an entertainment center. Below, in the cabinetry behind solid doors, is the AV equipment. The equipment consists of a Denon surround sound receiver, a Tivo DVR, a Sony blu-ray player, and an Apple TV. Without a universal remote control, this would be a minimum of 5 remotes, but by using the MX HomePro system as universal remote control we can use a single remote single button presses in order to turn on and off the system. 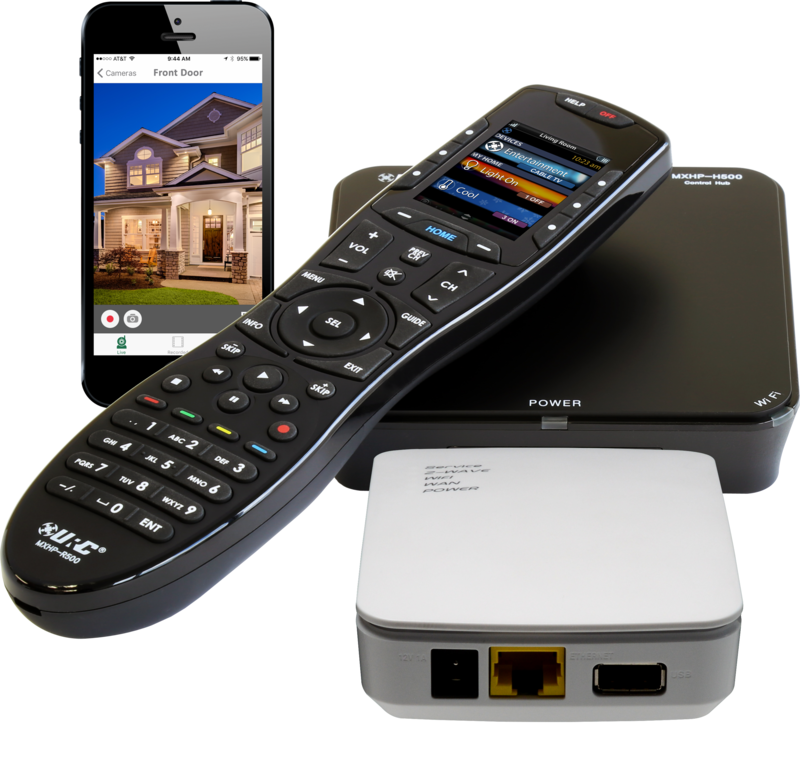 The only required piece of equipment for universal remote control is the MHP-H500 smart hub, which has a list price of $299. Since the MHP-H500 enables smart phones to be used as universal remotes, we could theoretically purchase no additional equipment. However, we will include the MHP-R500 universal remote control in our bill of materials because it provides for a much better user experience. The MHP-R500 universal remote control has a list price of $299, so the total retail price of our system would be $598, which is crazy low for the type of control that we’re going to be getting. The MHP-H500 smart hub has a total of 4 ir emitter outputs, one ir blaster, and one network jack. The MHP-H500 smart hub must be hardwired to the router for initial setup, but afterwards it can be placed on the Wifi network. The Tivo and the Denon surround sound receiver will be controlled via IP over the network, so as long as those two devices are hardwired then we need no additional connections to them. The Sony blu-ray player, the apple TV, and the TV will all require IR emitters. The included IR emitters are placed over the IR windows on each of these 3 devices, and the 3.5mm plug end of each emitter is connected to one of the IR outputs on the hub. That’s all the wiring that is required. Now that all of the connections are made, the system is ready to be programmed. URC insists that MX HomePro “requires professional programming,” but it doesn’t. When you buy an MX HomePro system from myEasytek, we do the initial security key activation and then send you the unit along with is very easy to use. Below the LCD screen there is a “home” button. The home button will always take you to a source selection page. In our case it would give us the option to choose between Tivo, Apple TV, and bluray. With the system off, selecting Tivo would turn on the TV and surround sound system then switch them both to the correct input. All of the buttons on the universal remote would then be set to control Tivo, and it would function the same as the Tivo remote. The LCD screen is not a touch screen; instead, it has 6 hard button surrounding the touch screen that correspond to the adjacent icon. So, to select “Tivo” on the home screen, you simple need to press the hard button on the top left or top right of the screen.a username and password. Using that username and password you are able to program the system yourself. 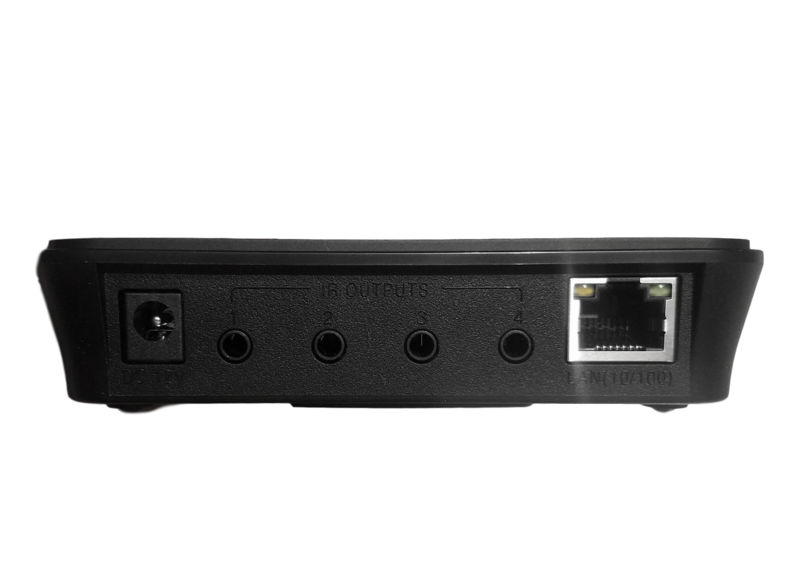 The MHP-R500 smart hub is programmed through a browser window using URC’s MX HomePro programming cloud. The programming is as simple or as advanced as you want it to be. It can be utilized in the same fashion as harmony by simply adding devices and selecting which devices should be powered on/off, or you can “go advanced” and completely customize macros to specify exact commands and in what order they should be fired. Completely unique to this price point, MX HomePro offers the use of boolean, string, and integer variables to embed better logic into your custom macros but using if/else statements. If/else statements can be nested into one another for even more dynamic operation of your universal remote control. Concerned about programming? Don’t be. We can program your remote for less than an hour’s time. If you want to do it yourself but just need help getting started or improving your program, we can step in and teach you how it works. The MHP-R500 remote features a bright LCD screen, backlit buttons, a rechargeable battery, and has “point anywhere” capabilities because it connects via “quick connect” Wifi. Since it communicates through the base station, the solid cabinet doors in our imaginary media room are no issue. Once programmed, the universal remote control is very easy to use. Below the LCD screen there is a “home” button. The home button will always take you to a source selection page. In our case it would give us the option to choose between Tivo, Apple TV, and bluray. With the system off, selecting Tivo would turn on the TV and surround sound system then switch them both to the correct input. All of the buttons on the universal remote would then be set to control Tivo, and it would function the same as the Tivo remote. The LCD screen is not a touch screen; instead, it has 6 hard button surrounding the touch screen that correspond to the adjacent icon. So, to select “Tivo” on the home screen, you simple need to press the hard button on the top left or top right of the screen. To switch sources, select the “Home” button again to display your choices. To turn the system off, select the off button on the top of the remote. Go to the app store and download the “MX HomePro” app. The first time you connect to your system you will be required to be on your home’s wifi network. Enter in your username and password and select “Connect.” On your screen you will see the same choices that are available on the MHP-R500 remote control. After selecting a source, operation by smart phone is the same as the universal remote control. There is not enough room on a smart phone screen for all of the buttons to be displayed at once. On the lower half of the screen you can select the “navigation cursor” for your left, right, up, down arrows. You can select the “numbers pad” for all of your digits, etc. In our theoretical case study we were able to consolidate five remotes into one single universal remote control, use our smart phones to control the TV, and create our own program. The list price of our MX HomePro system was only $598, but could have been as low as $299 if we had forgone the hand held universal remote. 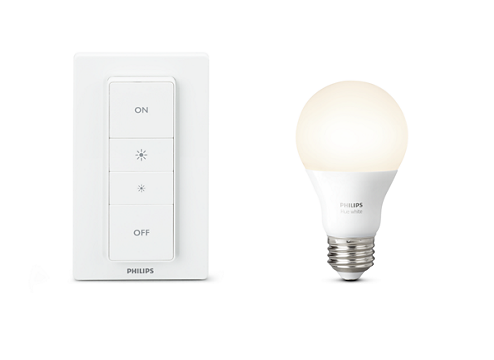 In addition, if we were to add a Z-Wave gateway we could also control the lights in the room as well. 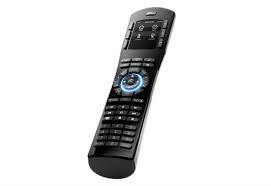 There is no better value for a single room universal remote control. 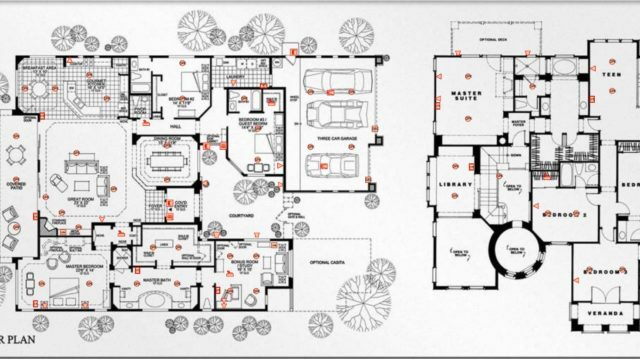 To learn more about other features of the MX HomePro system, please check back for our next post detailing whole home integration.